Wolves goalkeeper Tomasz Kuszczak has signed a new contract to keep him with the Championship club until the end of the season. The 32-year-old Poland international moved to Molineux on a short-term deal in November following his release by Brighton in the summer. 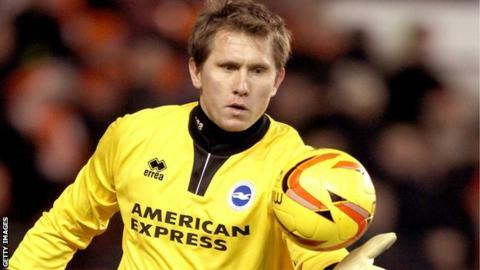 Kuszczak, who has been used as back-up to first-choice keeper Carl Ikeme, has yet to appear for Kenny Jackett's side. The ex-Manchester United and West Brom keeper made 89 Brighton appearances.